The apartment is very well equipped with all you may need while travelling with kids (kitchen appliances, washing machine etc.). There is enough room for kids to play. Apart from that the heating system works well, so clothes get dry very fast. The view from the living room is a nice one as well - the skiing slopes. NORMA shop is just 2 minutes away what is very convinient. Positiv ist die Nähe zum Skibus, Einkaufsmöglichkeiten und Restaurants. Das Appartment ist groß und für viele Personen platztechnisch ausreichend. Nur der Essbereich könnte auch für die Anzahl der Personen eingerichtet werden ohne dass umgebaut werden muss. Wir haben einen Tisch drangestellt. Vorhandene Aufzug ist sehr praktisch - gerade beim An- und Abreisen. Duża przestrzeń dla większej grupy. W kuchni wszystko co potrzeba, zawsze ciepła woda i przyjemna temperatura. Świetne widoki, brak problemów z parkingiem, bliskość sklepu i fajnych restauracji to kolejne atuty. Es war eine Waschmaschine und ein Wäscheständer vorhanden. 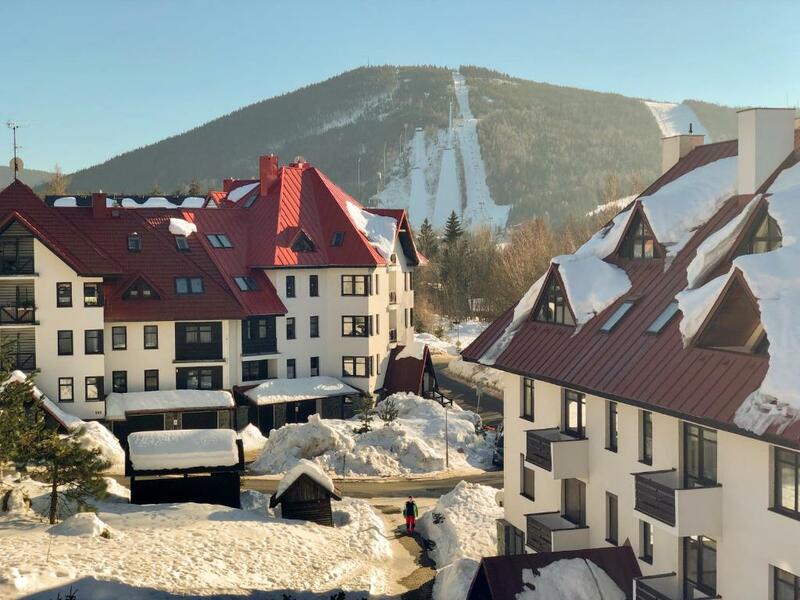 Harrachov Lux is set in Harrachov, 1.2 miles from Ski Jumps Harrachov, 0.9 miles from Ski lift Čertova Hora, and 650 yards from Glass Museum. This apartment features accommodation with a terrace. This apartment has 4 bedrooms, a kitchen with a dishwasher, a flat-screen TV, a seating area and 2 bathrooms. Guests wishing to travel lightly can make use of towels and linens for an additional supplement. The apartment offers a children's playground. A water park is available on site and skiing can be enjoyed within close proximity of Harrachov Lux. Bobsleight Harrachov is 900 yards from the accommodation. Pardubice Airport is 72.1 miles away. 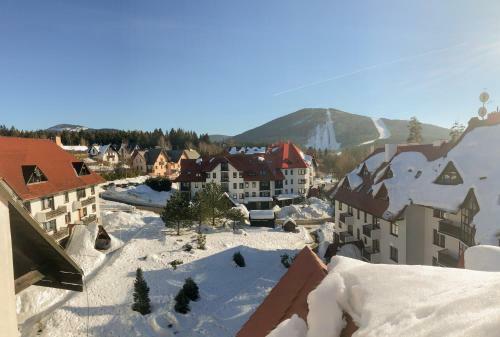 This is our guests' favourite part of Harrachov, according to independent reviews. Harrachov Lux has been welcoming Booking.com guests since 11 Jan 2017. 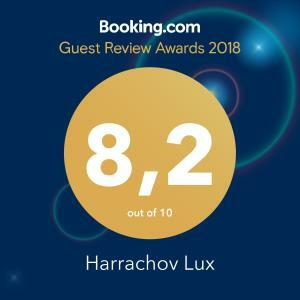 When would you like to stay at Harrachov Lux? 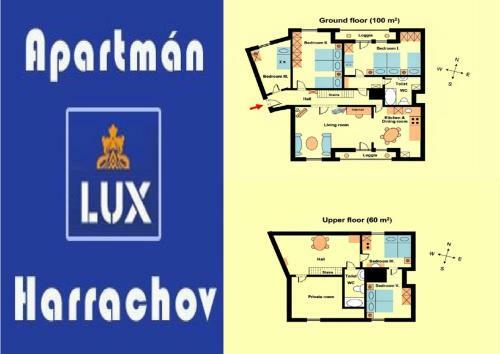 Harrachov Lux is the greatest apartment in Harrachov, it offers 10 beds, two toilets, one kitchen, two balconies, it is like two apartments in one. Harrachov Lux apartment is suitable for two families who wish to stay together and enjoy the spacious room. 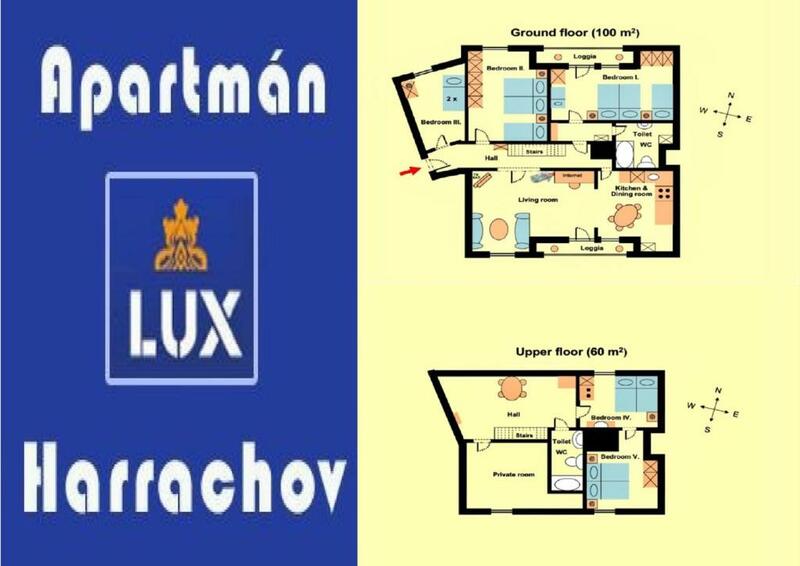 There is no other apartment like Harrachov Lux in whole Harrachov! We are the family with two children, living in Central Bohemia and regularly spending our free time in Harrachov throughtout the whole year. The neighborhood of apparent house No.596 is unique, i tis very quiet area, just next to the wood, so in summer nights it is possible to sleep with open windows and enjoy the fresh air. Our guests like the proximity (100m) of the shopping centre Norma with the butcher shop where you can buy all the food and goods necessary for your stay in Harrachov. House rules Harrachov Lux takes special requests - add in the next step! Please inform Harrachov Lux in advance of your expected arrival time. You can use the Special Requests box when booking, or contact the property directly with the contact details provided in your confirmation. Everything was just perfect, way better then we expected.